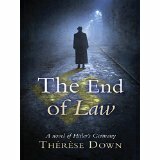 "The End of Law : A novel of Hitler's Germany, is a sad and horrible time in Germany of 1933. Families are destroyed because of Hitler's belief that his ethnic group is the master race. It is a time when the unthinkable occurs in one country. This is not the first time I've read about Hitler and The Third Reich. Since History can repeat itself, I can always learn more about this period.. Malice towards a fellow human being is a subject that no one book can cover completely. As one bit of hate is uncovered, another form appears somewhere else in the same vicinity. After readingabout Ireland in Only with Blood: A Novel of Ireland, I definitely wanted to read another novel by this author. Her blend of Christian literature with History is fascinating. Therese Down is one of my favorite International Christian authors. Aware of her power to make History come alive, I had not read her poetry. This is one of her poems that spoke to my heart. One that I will read and reread once again. An ordinary day. Wake late. Usual tomb-close gloom. Striped split of light, stale meat stink on my tongue. not the camel calls of younger hours. swat stares like flies. Now I only burn beneath sun. for the up down eyes, tongue dart through bearded lips. I smell. Haven’t washed the sweat away or him. I just wanted water. Wasn’t planning on living forever. It's a strange time in Germany, 1933. All hell is about to break loose. People like Hedda Schroeder have no idea what will happen. Neither have they experienced what will come. So, life goes on until....This Historical novel is definitely making me think and to remember never to take peaceful times for granted. I have a favorite character from Everything Brave Is Forgiven by Chris Cleave. Little Zachary is one of the many children who is sent somewhere safe during the bombing and hard times of England. Sadly, Zachary loses touch with his dad and his home and must face the ugliness of racism at such an early age. Chris Cleave puts, it seems, his whole heart into this character and the other children too. Zachary is so innocent. He is Black. His new friends, white, also face a new situation. Who is this child who looks so different from themselves? Their questions to Zachary were painful for me to read. Zachary answers their questions as best as he can without a shred of anger. Death comes alive in "Everyone Brave Is Forgiven" by Chris Cleave." It is World War II in Britain. No one knows how long a friendship will last or not last at this time. Everything is changing. Like old people use to say, "here today and gone tomorrow." I think of understanding one another, the intimacy of conversation and the pure beauty of romance. During such wretched times like war, I think we must love one another with a deeper love. Simply because time is like the wind. You can't see it, but you will experience it if it disappears too quickly. It's rough, ragged like a roaring ocean. Love past, love gone and the wonder of memories. Perhaps, this is one of the themes I would like to focus on while reading this novel. You are why I love diversity. So, I have a photo of orange blossoms;I hope. These are so pretty. I didn't really know what orange blossoms looked like. They are very pretty. The orange color reminds me of autumn. Now, I've tried to get the photo out of my folder. For some reason, I can't retrieve it. Oh, oh, oh, oh, I feel like crying. However, I am determined to have a good day. Cross your fingers. I hope you have a good day as well. As a cat, I am happiest. Please do not make me sour. Regular naps on my rug I take. I promise not to drool and snore. At this moment, I have so many good books to read. So, I had to settle my mind and focus on reading one.Because of a blog date I have chosen to read The End of Law by Therese Down. Thankfully, I had already started it. So, I just picked it up and began reading again. No matter how much I read or hear or see about Hitler's Germany, WWII I am still stunned by the horrors that took place during that time. I am also grateful that this novel is written by Therese Down. She really knows how to write Historical Fiction. If it seems like I am going all over the map to make one small point, it's because this isn't a review. It's a comment about what I'm thinking about while reading the book. Blake is a disturbing poet. Over whom I haven't wasted a night. Over his drawings I've agonized. To lay its offerings upon thy shrine. Bright jewels, -- changeful opals, em'ralds fair. The gorgeous marriage-ring of Earth and Heaven. I only think of her poem about The Statue of Liberty. How unfortunate, the woman wrote so many poems that we can read and remember. These three sentences remind me of the love letters I wrote and that were written to me in elementary school. Wonderful lines. Sun shines on the lake in the morning. Prunes and orange juice are eaten by the patient. Rainy afternoons splash a soul in water. In the afternoons, ships ply the Atlantic ocean. Night-time the stars rest upon shoulders. This is the debt I pay Just for one riotous day, Years of regret and grief, Sorrow without relief. Pay it I will to the end — Until the grave, my friend, Gives me a true release — Gives me the clasp of peace. Slight was the thing I bought, Small was the debt I thought, Poor was the loan at best — God! but the interest! coloring the edges of this poem purple. I've never lived in a "lifeless house." Ghosts were always there. In the kitchen, in the living room and in the bedroom of the old house on the corner. I will return one day to the home of my birth. I know the spirits never meant any harm. Their desire was to nurture me with their gifts of insight, a listening heart, the willingness to count the petals of a red geranium and the ability to look at the ugly while not showing disdain. Also, the strength and willingness to rejuvenate the earth with new lives. All the while knowing at some time my ghost would inhabit their minds and homes. In Lancaster County, it is the time of the Depressionduring the Thirties. Hope in The Land by Olivia Newport is mainly about two Amish families: the Grabills and the Swains. The Grabills are the biggest family of the two. 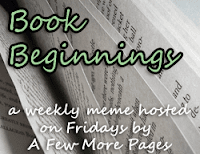 What makes the novel interesting is the relationship between Minerva Swain and Gloria Grabill, how people lived through the Depression and the values of the Amish in their community. Growing up, I lived only a couple hours from Lancaster County. So I felt a bit homesick remembering my father's visits to the farmer's market when the Amish came to town. 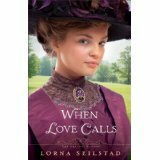 In this Christian fiction novel, When Love Calls by Lorna Seilstad, there is mystery, romance and plenty about the struggle to do what pleases God and not what doesn't please Him. Hannah often prays about situations, and I could really see how God can intervene in horrible situations that can happen in real life. The novel takes place in 1908 in Iowa. Both parents of three sisters have died. Hannah, the oldest, Charlotte and Tessa. Hannah takes her responsibilities seriously. She goes back to school to become a telephone operator. After getting the job, she finds out how hard it is to live without parents and work on a job where every move she makes is graded. Tea Norman I find myself sympathizing with Agnes Grey, the governess. While on the first job, I empathized with her. Now I am doing the same on her second job. The story is told from her, Agnes Grey's, viewpoint. If I read a true account by the children or charges, would I feel the same way about Agnes Grey? I'm wondering if she is not meant to be a governess. Of course, there weren't many positions for women at that time. What positions did she have to choose from? Little black and yellow bird saw a boy. Without a thought or word the boy ran with joy. His chocolate milkshake fell to the ground. He didn't care. He had found a new sound. It's the beginning of National Poetry Month, 2016. I'm still enjoying Limericks. They really jiggle my funny bone. Yesterday I read one from Alice In Wonderland by Lewis Carroll. The subject is a crocodile. Then, I tried writing another one. At this very moment, my fingers want to write another Limerick. These short verses make me feel free and full of laughter. There are rules but not so many as a sonnet. Did Shakespeare ever write a Limerick? I think of my grandchildren. I can see them sitting down with different colored pencils or crayons writing Limericks on yellow, purple, red or even black construction paper. Fun! If they would decide to write one or two Limericks, I would like to receive them in a letter. Does anyone write letters anymore? I'm thinking of the ones delivered by a mailman. I've always known Limericks were funny. Since my funny bone is slim, I would skip over Limericks written by famous poets in Literature anthologies. Silly me, I thought reading these short, humorous lines a waste of my time. Now, I'm dying to read more of them. I also think these poems are difficult to write. Happily, I am cheered up by reading these lines. They are good medicine. Bumble bees go by in the sky. Many robins make a nest. Flies land on bread and rest. Mothers look at toys to buy.